CabStartup Cloud Version has Launched! Announcement for Tech Startups and Entrepreneurs! Hello Tech Startups, Taxi Companies and Entrepreneurs! 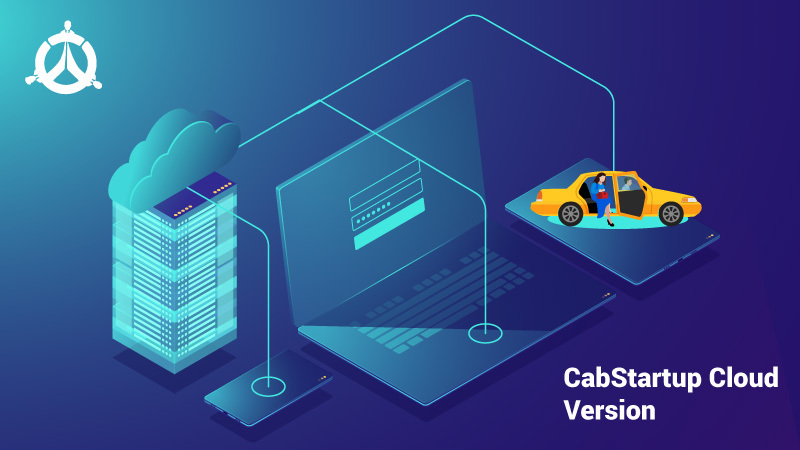 We have launched our CabStartup Cloud version for you with a free trial of 14 days. Sign Up today to get the benefits of a state-of-the-art cloud-based taxi dispatch system. Cloud technology is reshaping the dispatch system, enabling you to carry out all your dispatch actions quickly. Cloud mechanism is becoming an inevitable part of every taxi business. Our Cloud-based taxi dispatch system has the potential to give a remarkable boost to your business growth. 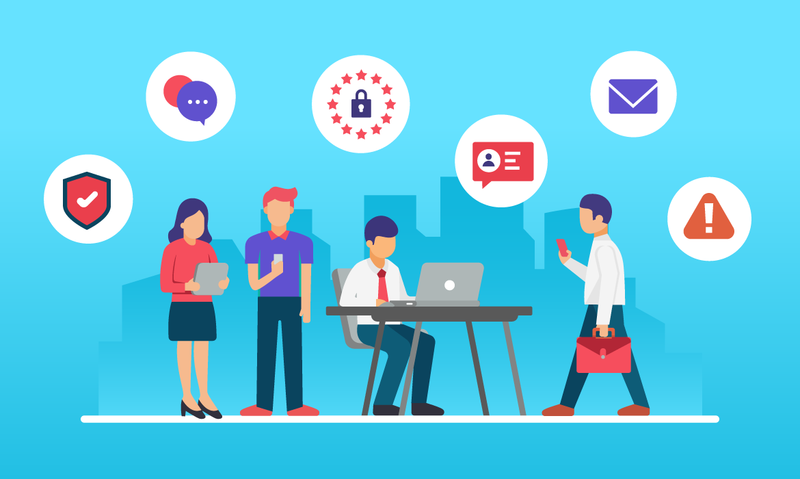 Cloud-based technology improves the work processes of employees and increases business efficiency. 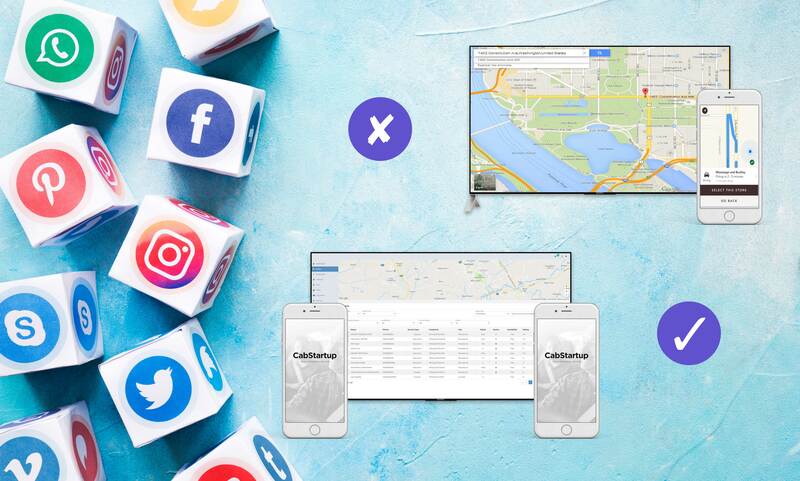 With Cabstartup cloud dispatch system, you will be able to dispatch rides efficiently and control all aspects of your business from any device, i.e., tablet, mobile, laptop, or PC. How our Taxi Dispatch System will Benefit your Business? A traditional dispatch system refers to the primary method that business managers use to instruct drivers regarding the next trip while a cloud dispatch system uses web-based technology to transform the simple concept into a well-planned system completely. Which Features come with Cloud Dispatch System? Cabstartup cloud system can be divided into various sections; each is designed to maximize a different area for your company’s success. Our taxi booking app comes with a plethora of features which will revolutionize your business. An automated dispatching solution connects customers, drivers and admin managers with the dispatching software. The automated software improves communication, brings accuracy, and facilitates instant financial transactions. If the person managing the dispatcher is not available for the upcoming stream of booking requests, the dispatcher will be switched to auto dispatch mode. Our taxi dispatch solution allows managing all the activities of User’s App. Cloud-based taxi dispatch system assists in managing all the activities of the Driver’s app. Cabstartup Cloud-based taxi dispatch system gives valuable insights to take crucial decisions to boost your business. Customers can make payments in various modes such as cash, cards, and wallets. Cloud-based taxi dispatch system enables you to track every action with the help of analytic tools and custom reports. Cloud-based taxi dispatch system enhances the resource allocation for taxi dispatch. The automatic cloud dispatch reduces 95% booking time. Our cloud-based white label taxi app will help in increasing the growth of your taxi business. It allows organizing your fleet that saves time. It will enable recruiting more cabs to increase your workforce. Managing your drivers has become more accessible than ever with our cloud dispatch system. You can add, delete, delay, or replace drivers as needed. The app offers advanced settings to set driver’s commision rate, assign vehicle, daily scheduling and setting the number of operations using a few taps. Cloud-based software streamlines behind the scenes paperwork such as driver payment methods, and automatically generates invoices. Customers can easily select a destination to schedule a booking without any hassle. 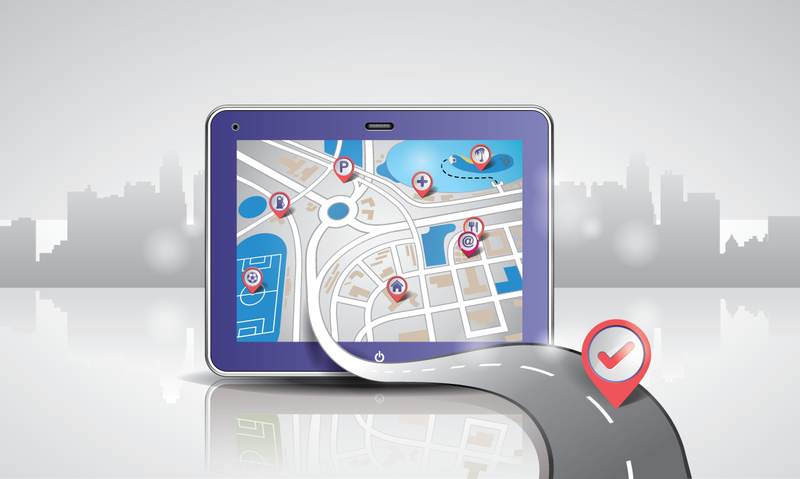 Drivers can track customers’ location and customers can also track the driver’s location. You can easily control fee depending on the conditions and circumstances. If the weather is terrible or there are any other problems, fares can be set accordingly for certain situations. You can create new zones easily as per requirement and easily set rules for each. This feature helps if you have to create additional fees for high traffic areas or long distance rides. With a cloud dispatch system, you can completely control the notifications that drivers receive. You can send an urgent message when required. If you want to stop customers from booking rides at a particular time or resolving a current problem related to booking rides, customizable blocking features allows you to adjust booking conditions according to the circumstances. Our ride-hailing Cloud system allows recording calls from anywhere around the world. With the admin panel, you can manage overflow calls during peak hours, holidays, or any other times of extreme stress or critical condition. Customers will prefer downloading an app with a professional logo, and a sleek display that increases generation of leads. You will have a personalized account and app that will be released under your branding. You will have full control over it. Cloud-based taxi app allows customers to book a car instantly or easily schedule it for some other time without calling to anyone. These bookings can be paid through the app with PayPal or a credit card. Customers are encouraged to give feedback of their driver using a 5-star system that assists in improving the management. Administration team monitors the reviews and highlights the problems of employees to resolve them. Cabstartup provides your taxi fleet a website with a complete bookings module and easy to use management panel. Besides from having your app, your website will feature a secure booking section with customer login. Get the benefit of protection for your business data on the cloud. Our Cloud-based taxi solution provides ultimate security to the admin or the dispatcher. Moreover, it allows them access data from anywhere. A cloud dispatch system means the company information is securely backed up on reliable servers. If you are looking for a reliable Cloud Dispatch software, We are ready to help! The implementation of a complex dispatching solution gives a positive customer experience. Cloud solutions effectively dispatch rides to multiple drivers across different locations making your business running effortlessly. We provide world-class cloud-based taxi dispatch solution, which ensures safety and security. If you want to get reliable taxi dispatch cloud-based solution, Sign up today! Uber is speeding up towards a historic IPO next year that could value it as high as $120 billion, but that doesn’t frighten its competitors that operate all over Europe. Markus Villig shared in his speech on stage at TechCrunch Disrupt Berlin that $1 billion-valued Taxify has extended from Israel into Europe, North America and beyond, and they are not disturbed by battling the U.S. ride-hailing goliath. Taxify functions in 26 markets predominantly in Europe and Africa has raised over $170 million from investors including Didi Chuxing. Taxify defeated Uber in China. It shows that Villig is very familiar with going toe-to-toe with Uber. Ride-hailing companies in Europe are getting a competitive advantage over others and are not scared of Uber because of their strategic techniques. Vilig told that they compete with them in every country and city in which they are operating. Therefore, they have accustomed to having quite fierce competition. But what is already clear from multiple mergers around the world is that the local operating model is going to win over the long term. We can check its authenticity from the numerous mergers at Russia, China, and now Southeast Asia, where Uber has sold to local rivals. Didi in China and Grab in Southeast Asia adopted few strategies to win over Uber by managing regional payment plans. Villig explained that Taxify become successful and win over the competition because of economic advantage and the ability to mix up its strategy. So, it can become tough in open markets that bring meaningful competition for riding businesses. It allows working collaboratively with local government in places where a challenging regulatory landscape requires a more nuanced approach. The Taxify CEO told that they are more focused on treating drivers better, which is something that’s unique to Europe because the regulations are so high. There is less driver who can work with you in every city. Therefore, treating them well is a much more significant way can help to retain drivers as compared to areas where the supply of drivers is multiple times bigger. Via has raised $390 million to date, which specializes in shuttle vans. They are providing standalone consumer-facing service, as well as the collaboration of local transport authorities. It is standing up to Uber’s significant ride-hailing chops. Vin added that they are getting a pretty good advantage from the Via platform in which both customers and drivers get the benefit and compensation of quality travel experience. They find its success in launching their service even when uber is competing. Vilig, the founder of the unicorn believes that the future of on-demand transportation is genuinely local. They are overtaking other taxi businesses country-by-country and think they will see a similar future in Europe and other parts of the world. From this information, it is evident that Europe’s ride-hailing companies are not scared of Uber. They are getting an advantage over the competition using the right blend of techniques. Therefore, it is evident that more ride-hailing companies can be added with the aim to become successful and stand out from the crowd. 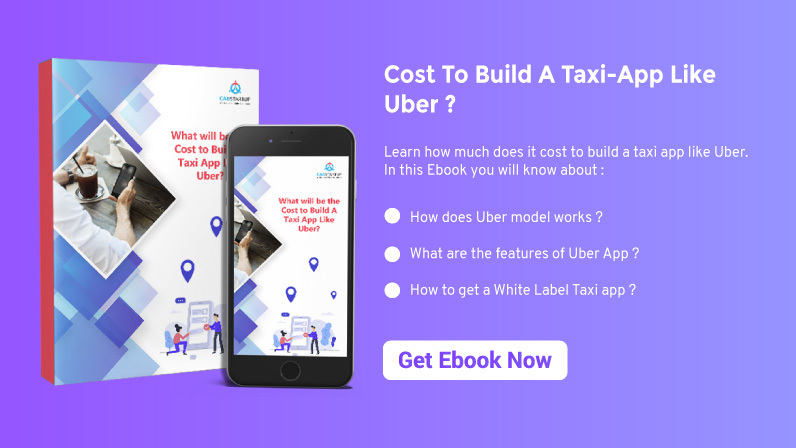 Efficient management and adopting of right strategies and using a reliable white label taxi dispatch solution can help taxi companies to grow and earn revenue. We offer white label taxi dispatch solution for all types of transport businesses. 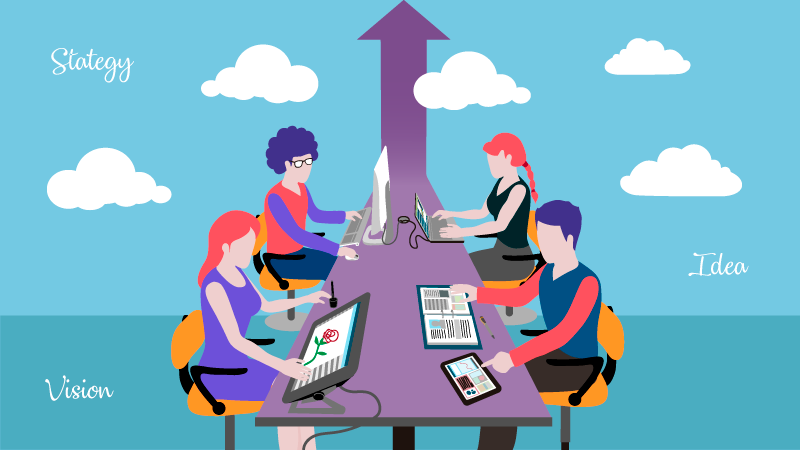 Our cloud-based solution is reliable and suitable for startup companies. If you want to get efficient software, contact us today. Google Assistant is getting smarter than ever before. It enables users to ask questions and get answers. The service goes beyond the messaging app Allo, as it is now providing a lot more features. Google Assistant is now available in all kinds of Android smartphones that run Android Marshmallow, Nougat, or Oreo. Most recently, Google Assistant also found its way to the Pixel C. Here’s detailed information regarding the Google Assistant that you need to know. Google Assistant is one of the best perks to Android users that is combined with an original speaking format. This article delivers the knowledge regarding Google Assistant, what it can do, how to use it, and how to book your cabs from Uber, Ola, Lyft etc. with Google Assistant. Google Assistant is a new Google feature which can perform various functions. It has established superiority over others. Google Assistant launched in 2016 as part of Google’s smart messaging app Allo. Soon after, the Assistant made a jump to Google’s Pixel phones. But now, it is free to download for anyone using Android 5 Lollipop or above. In addition to Android support, there’s an Assistant app for iOS. Google Assistant is already built into your phone and ready to go. However, some Android devices require the independent Google Assistant app. On iOS, you can access Google Assistant by installing it. How to Get Google Assistant? If you do not find Google Assistant installed on your smartphone, you can download this app from the Play Store. You will need a phone with Android 5 Lollipop or higher, or Android 6 Marshmallow or higher on tablets. Moreover, your device must have at least 1.4GB of memory and a 720p screen. iPhone users can download the Google Assistant app from the App Store. It requires iOS 9.1 or newer. On compatible Android phones, you can call up Google Assistant by pressing and holding the Home button or say OK Google. On an iPhone/iPad, you’ll need to open the Google Assistant app and either say ‘OK Google’ or tap the microphone icon. You also have the option of type out a question rather than using your voice. Use the keyboard to enter text into Google Assistant. It will respond via a voice message. Assistant can coordinate with lots of apps and services, and it will show Google results regarding your query. Google Assistant is now offering the ability to book cabs across ride-hailing services such as Uber, Ola, Lyft, and more. Users will now be able to ask Google Assistant to book cabs from their smartphones. Apart from booking cabs, Assistant will also show you estimated time and pricing for each operator to help you decide without having to access the individual apps. Once done, select the preferred cab-hailing provider from your smartphone, and the app will open to let you confirm the booking. This feature is rolling out in the English language first and will be expanded to other languages later on. Google Assistant would automatically open up Google Maps when prompted for cab details. The update allows it to show details like wait times and fare pricing right on the digital assistant itself. We provide quality systems for taxi services all across the globe. If you are a transport service provider company and want to get a system to manage your bookings, fleet, and passengers, to boost your revenue, then you can get a cab booking system from us that will help users to book your services. Mobile Technology is influencing almost every industry and showing extraordinary growth in today’s business world. The extension of mobile technology has brought significant impact in the transportation industry, where the limo service providers are adopting various strategies to deliver a vast improvement in their business and to stand out among their competitors. Furthermore, it is essential to know how technology is bringing significant, remarkable changes in the form of on-demand systems including online limousine booking system that can generate more revenue to the limo service providers. 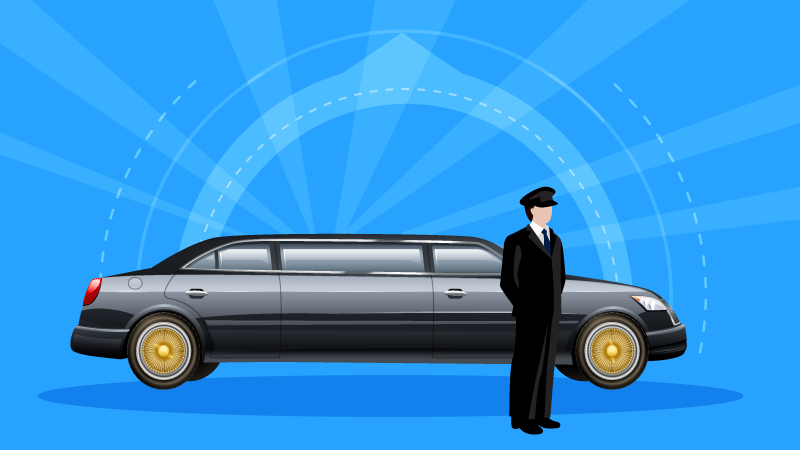 Here are few essential features a limo dispatch software should possess. The limousine booking software with the admin and dispatcher panel allows collecting and saving complete details regarding the rides and its transactions. The statistical data collected and stored in an online limousine booking system is helpful for the limo service providers in finding the most active regions, which help the drivers to attract more potential customers. Furthermore, these statistics are beneficial in finding the areas where the limo service providers have generated more revenue so that they can further improve and provide fast services by targeting those regions. In the improved technology, almost every feature is made digital as the older techniques consume a lot of time. Also, managing accounts and invoices through papers are outdated and very difficult to maintain. If we take the example of the transport industry, the advanced limousine booking software uses integrated payment gateway methods for secure online payments over credit/debit cards, which facilitates e-receipts and payment notifications in real-time. This feature helps the limo service providers in evaluating the business profits with few taps. As the cellular phone users are increasing day-by-day, the percentage of mobile app users increased and moved beyond 70% based on the services available in the market in each industry. Moreover, it is essential to provide the most trustable and convenient service to the end users to stay in the market with the advanced limousine dispatch software along with the Driver and Passenger apps. Separate mobile apps for passengers and drivers have made the limousine reservation process more comfortable than the previous ones. In the advanced world, mobile apps become the most reliable solution which an industry can provide. The limousine software with their dispatcher panel provides real-time updates about all the rides. Also, they record passengers’ details such as name, pick-up/drop-off location and so on using the integrated features like VoIP, Caller ID, etc. The customer data can further be used to target the areas where they can get more potential customers for their business. Want a Dispatch System for Limo Service? We provide limousine booking software and transport taxi systems for all kinds of transportation businesses catering to the current demands of business owners. If you want to get quality limousine software for your transport business, contact us today! In the last five years, earning a profit from traditional taxi services has declined considerably. Competition is fierce, that is why cheaper transport providers are stepping in. Uber-like booking apps for the taxi services are taking the market away from the companies providing taxi services in a traditional way. The reality is that Uber-like Apps for Taxi service are here to stay and make an impact on the industry. If you’re running a taxi business, and you’re looking into developing an independent Uber-like taxi service. Getting a taxi app solution is mandatory. The trend of taxi app is touching to the new heights of success. Apps for Taxi service can deliver remarkable benefits to business owners with the help of modern technologies. There are many types of cab booking apps in the market. Today, every transport company needs to get a cab booking app to survive in the competition. 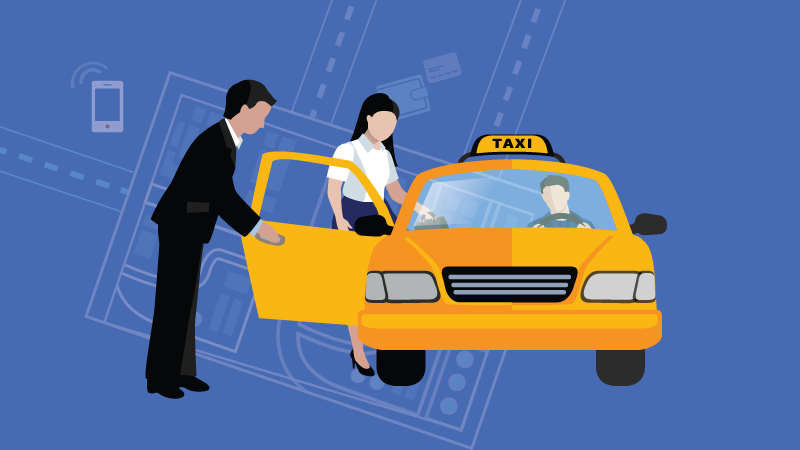 A mobile app for a taxi company can make it easier for their customers to book a ride. It enables business owners to expand their customer base. A taxi app makes the life of drivers easier as they can quickly get rides online, which saves their time and increase the chances of earning more money. The transport companies provide an outclass service to their clients in various parts of the world. Riders can select from a list of destinations or put in an address themselves, and choose their preferred car type. They pay the ride’s fare according to the available payment options. The app tracks the booking history of both riders and drivers. A variety of other features are available for this app that include driver’s location IDs and taxi tracking for the customers. The simple taxi booking solution involves a single app for customers that includes different car types with different rates. Customers will have the ability to book a cab via an app. It might add a map with destination points and an approximate calculation of the price of the ride according to the shortest route available. In this option, you don’t need a server of your own. If you are interested in this solution, you can check a sample from our available systems that we have developed for many companies. Our delivered solution includes an admin panel, using which you can manage your drivers, passengers, service regions, set fare calculation rate for different service types, check the statistics and generate reports as well. In this model, the drivers registering themselves on your platform will be freelance drivers having their own cars, this option allows the drivers to work as per their convenience. The drivers earn their commission against the rides they perform. A more complex and full-featured taxi booking solution requires you to invest in backend development in addition to the frontend. Therefore, you’ll need a server. It may require to establish partnerships with taxi companies having a good number of drivers as their employees and offer two separate apps; one for riders, the other for cab drivers. Apps like these use the internal GPS of the device to identify the current location of a user who has booked a taxi and notifies the nearest driver. It can monitor drivers’ current status of arrival. Requests are sent to the server. To have up-to-date information about the location of a customer, our developed apps send location coordinates to server very frequently. 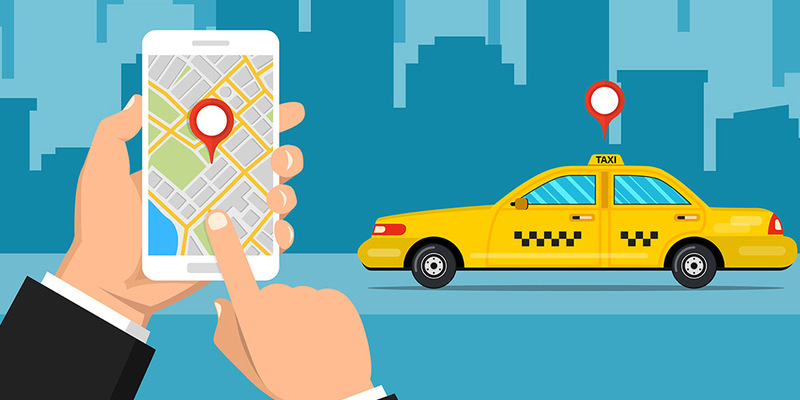 To build an excellent taxi app that is convenient to use, and reliable, hire a professional taxi app development company. You might also be interested in: Importance of marketing for making a Taxi Company Successful? Uber tracks your location all the time, which helps to find the nearest driver within seconds. Once a taxi service is booked, Uber shows the status of the driver arriving to pick you. If you want your app to track a rider’s location, an app shows an interface for users to enter their data that helps in finding the place. The primary source of location for Uber is Google Maps, which shows a representation of a user’s surroundings. 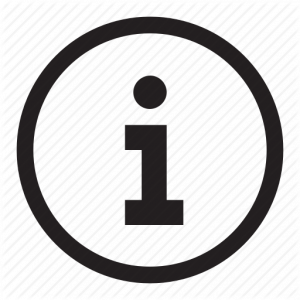 The location specified by the server is translated into a readable address that shows location status of customers and drivers. Uber calculates the fare keeping in mind the base fare that depends on the area and selection of the car, cost per minute, cost per mile, and booking fee. 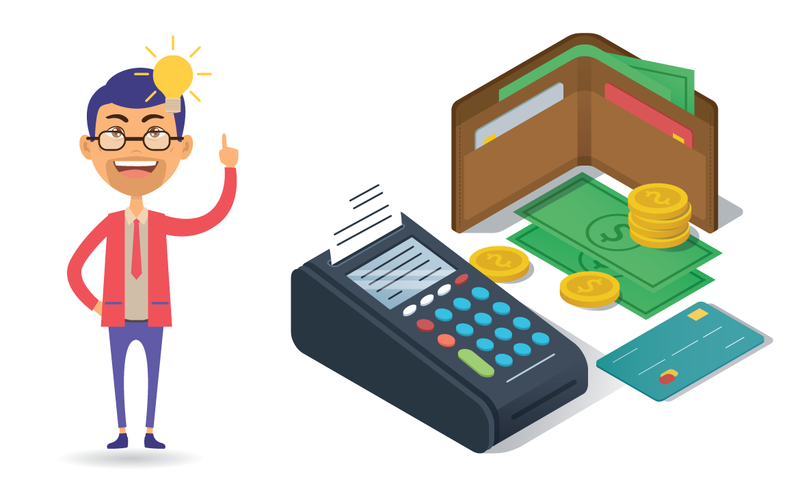 Various payment gateways are already integrated with our solution to process credit/debit card payment, some payment gateways integrated with our solution include: Braintree, Stripe and Connekta. Cash option, credit/debit card option is available for the passengers to pay for the ride availed. Uber is considered to be more reliable than traditional taxi services because both riders and drivers get detailed information regarding taxi services before and during the ride. Rating system boosts the rider’s and driver’s sense of control and security. Implementing the rating system in your app is helpful for your taxi business success. Today, more taxi apps like Uber are emerging around the world, which is increasing the competition for Uber. Uber might face a threat from your taxi app as well if you use a quality system to build your taxi app. Competing for getting more customers and good drivers is a big challenge for new ride-hailing services. 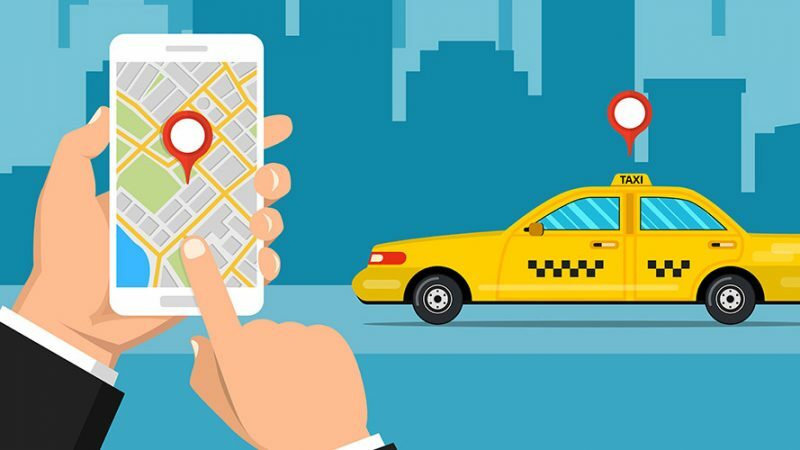 Therefore, the taxi app development company that offers the most perks to drivers can become successful, which is possible by hiring professional services for getting a taxi app. If you want to get an app for your taxi company like Uber, you need professional services of a taxi app development company. Our company provides a taxi solution that includes apps for both the driver and the customer. We also provide custom taxi app development services for the transport industry, covering all types of ride-hailing services. We offer comprehensive solutions for your taxi company like Uber, Lyft, and a lot of other businesses. If you want quality apps for Android or iOS, contact us today. What is the importance of marketing in making a Taxi Company successful? (Hint: Avoid Bad Marketing). Over the past few years, app-based taxi companies are increasing in number rapidly. Not only there is an influx of new Taxi App Companies but the overall industry revenue is also growing. 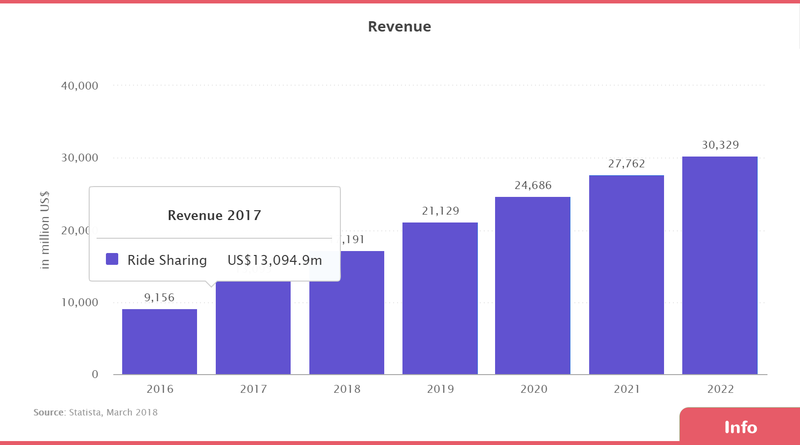 Latest trends show that the revenue in the ridesharing segment amounts to US$17,191m in 2018, which is expected to rise to US$30,329 by 2022. The industry stats are favorable for taxi businesses. However, all new taxi companies could not become successful. What is the reason? The answer is quite surprising: Very few business owners are ready to market their services like Uber to become successful. However, they want to get the market share which Uber has captured. Crazy, right? 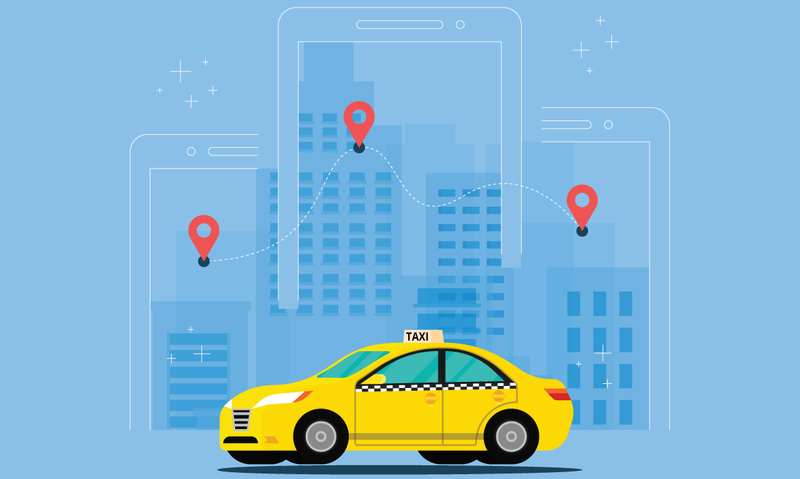 The ride-sharing market is comparatively saturated in 2018, which shows the significance of marketing for every new taxi company to compete against market giants such as Uber and Lyft. 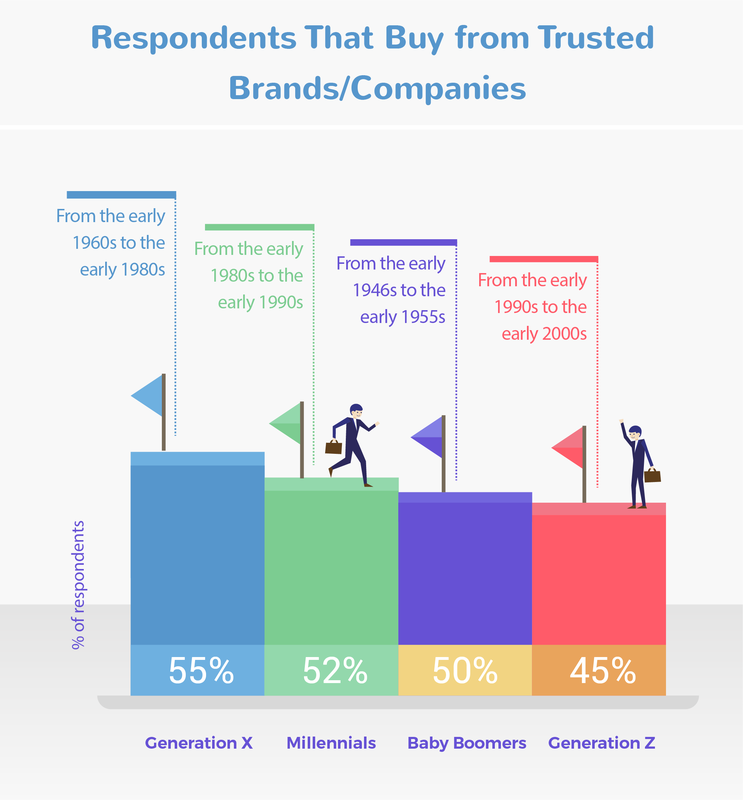 In addition, the graph below showing consumer behavior illustrates that most of the consumers buy from the brands they trust. Do you know how to develop trust for your brand? It’s about communicating your brand message, which is the result of marketing activities. Therefore, companies without marketing are doomed in the long-run. In reality, those businesses often lead to failure after a few months of operation. We at Cab Startup, care the most for our clients’ business success. We provide an all-in-one on-demand technological solution, which can enable you to conduct effective marketing activities. How Bad Marketing Techniques Effect Ride-Sharing Business? Firstly, marketing is the key to attract clients to your business. Hence, without a good marketing plan, making efforts to grow your business is in vain. Lack of marketing activities leads to business failure that vanishes in disgrace. Ignoring marketing is a wrong decision and a big obstacle in your business success. In other words, you can say that investments in marketing is the investment in the company’s long-term growth and success. 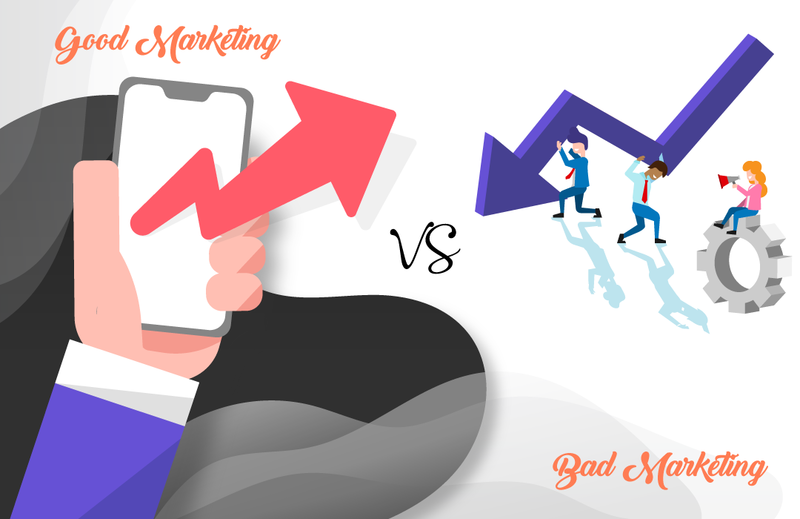 Bad marketing comprises of various forms and shapes that include inappropriate logo or icon, poor social media campaign management, lack of app store optimization techniques and a lot more. Poor marketing techniques can destroy your brand image and customer acquisition efforts. Very often, companies think that marketing is not more significant and can be addressed later. Marketing strategy is carried out without proper planning and goals. Business owners have no interest in researching the target audience. They ignore planning a budget and a road-map for success. Launch the services with a non-branded app. Small businesses consider marketing expense as an extra burden that is not important for business survival. They think that the budget for marketing is a residual. Moreover, they keep branding for a later stage, which is a big mistake as people cannot recognize the company and taxi businesses stay behind in promoting their apps. At the later stages, bitter reality comes in front of the business owners when revenue does not increase according to the expectations and planning, that marketing strategy they adopted was panic-driven and unproductive. Effect of ‘Random Marketing Activities’ on your business growth. Is doing random marketing stuff the only marketing strategy for your taxi app business? If this is true, then doing nothing for marketing is better than performing random activities. You should realize the importance of a proper marketing plan and strategy. Unimpressive results. If you make marketing campaigns and design activities solely on your intuitions then it can have adverse effects on your set KPIs. Failing to achieve your targets. Guesswork will waste your time and money. You might fail to grow your customer base and revenues. You know what? Research and data analytics is the base for creating a good marketing strategy. If you have not defined your set goals and path to achieve the targets, then you might develop a negative perception for your taxi business among your customers. Trust is the key element to acquire customers for a longer period of time. Remember? You can develop solid trust only with a defined marketing plan and strategy. Implementing basic marketing techniques is the initial step. The next step is to apply advanced marketing techniques depending on real-time data. Making decisions purely on guesswork often fails. Find real-time data to know your clients and their needs is vital to move towards success. Market analysis is essential for decision making rather than doing marketing on assumptions. 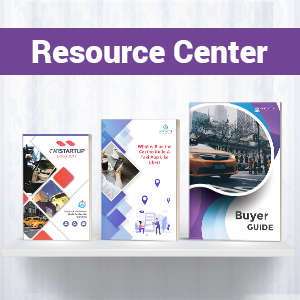 Doing a thorough research of important marketing techniques that can bring good results or hiring a taxi app white label solution provider and marketing company to do the job is a wise decision. 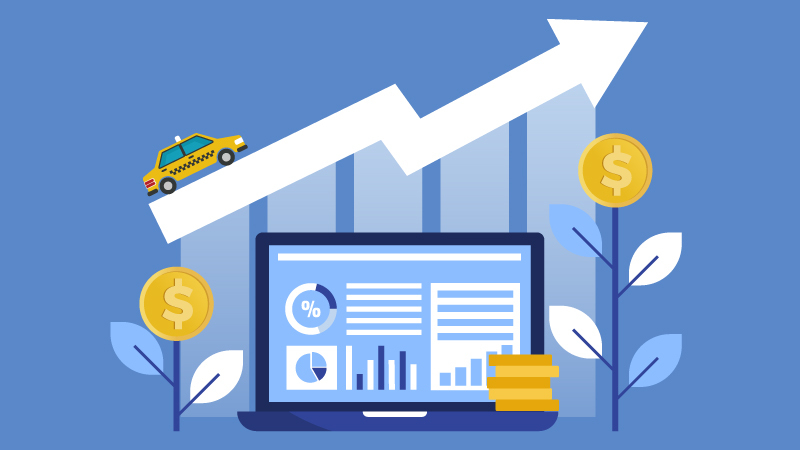 A successful business requires marketing based on real-time data, implementing strategies, and the use of a white label solution for your taxi business to get long-term success. It ensures that your business will get more returns over investments. Do research thoroughly about the target market, competitors’ position, and make a marketing plan before launch. Set a budget for marketing activities. Choose professionals to do the branding at least for the taxi booking app and website. Do market research and make business decisions using the facts and analytical data. Consider the market specifics and the characteristics of your target audience to forecast ROI. Decide on a marketing budget and hire a professional company for marketing services and taxi app white label solution. If you want success in your taxi business, signup to get outstanding services today. WHAT CAN BIG BUSINESSES TEACH STARTUPS? These days a lot of people say that large companies can learn a lot from startups and adapt their methods, and that is true to an extent. However, there is a new question going around the block: What can big businesses teach startups about entrepreneurship? The answer is that there is a lot that startups can learn from large companies, after all, these companies were once startups who made it big. Essentially, if startups pick up the tips and tricks that large companies are leaving them, then they can boost their chances of making it in the unforgiving gladiator arena that is the startup competition. One of the reasons why big companies make a lot of essential sales is because they spend a monumentally large amount of time getting to know who their target audience is and what it wants. For example, IKEA spends years on researching the market before it enters a new market. Of course, startups do not have enough time and more importantly budget to do that, but the point is that startups should learn as much as they can about the people they mean to serve. There is nothing worse for startups than spending all their time and budget on making a product or offering service only to find out that nobody wants it. The very essence of startups is bringing innovation and change in people’s lives. However, the degree of change is highly relevant. 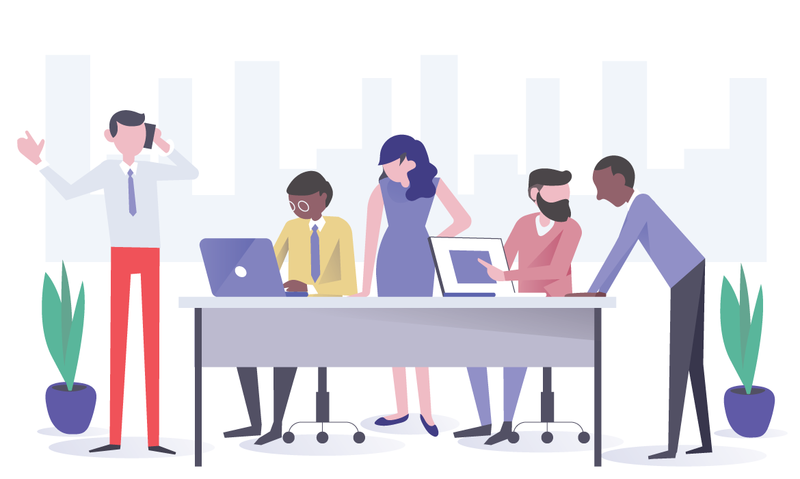 While people may need or even like changes, they will most likely be opposed to big changes, and of course, that is a huge red flag for any company especially a startup. What large companies do is that they break down substantial changes into smaller yet still meaningful ones, and slowly introduce them to their target audience. For example, software release management is substantially sufficient for large companies when introducing new software or tools to their employees; software release management handles the entire introduction process without disrupting the employee’s everyday work. 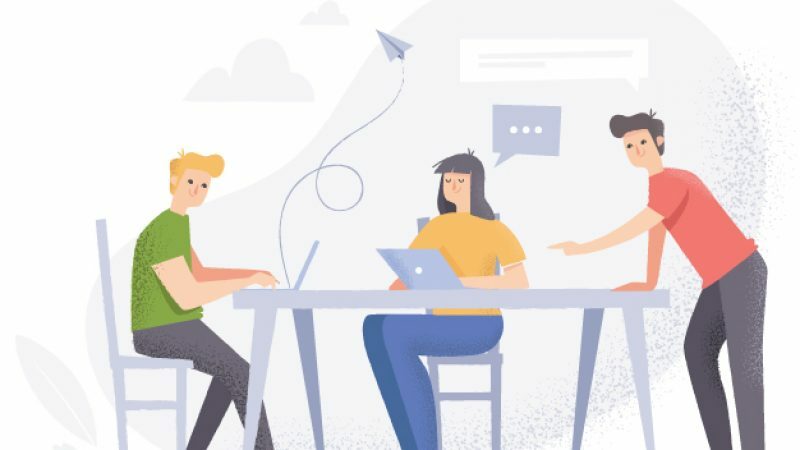 Startups need to monitor how they incorporate change and closely and make it so that the changes they enter into the market do not disrupt the audience enough to make it uncomfortable and ultimately, unwelcoming to the changes. 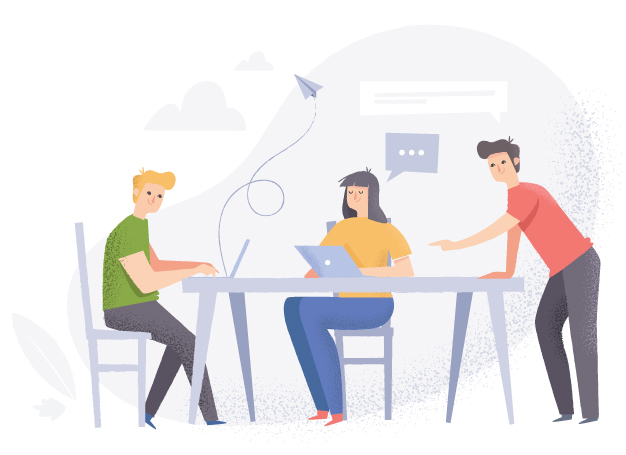 Every large corporation has a dedicated human resource department which handles hiring new employees, bringing them on board and just about everything else related to human resource management. They are extremely careful with who they hire and only take chances on the candidates they feel they can get the most out of. A startup must take HR even more severely than a big business because its margin of error is nowhere near as wide as that of the large corporation. By hiring the right person, startups may gain a healthy boost that just might turn them into winners, and by employing the wrong person, startups risk losing weeks or even months on a person who does not contribute in any meaningful way and only wastes precious resources. The worst mistake startups can make is not taking human resource management seriously. After all, in a startup, it’s all about the people who do the work. i. Startups should streamline their content creation. Large businesses create a lot of content, but what’s more interesting than what they create is how they create. Generally speaking, startup founders tend to do all the content creation themselves. The lesson is to allow others to create the content and a reliable process of generating the content. It is imperative to remember that the more business sections that startups streamline, the more their business will be able to grow and expand. ii. Use Videos for content marketing. Videos are now easier to record than ever, and they visually engage potential customers; this makes them the bread and butter of content marketing. Therefore, videos must play a vital role in any startups marketing strategy, and they can’t just be popular, they must also positively influence a customer’s buying decisions because nearly 50% of people look for videos highlighting the product before making a purchase. Typically, people say it is essential to learn from the mistakes of others, but what they usually don’t say is that it is just as vital to learn from the successes of others as well. There is a tonne of lessons that large companies can teach startups, and the lessons mentioned above are only but a few of a long list. The SEO equivalent of the app world, App store optimization is a process that improves an app’s visibility in Apple’s App store, and it is a form of mobile app marketing and user acquisition. 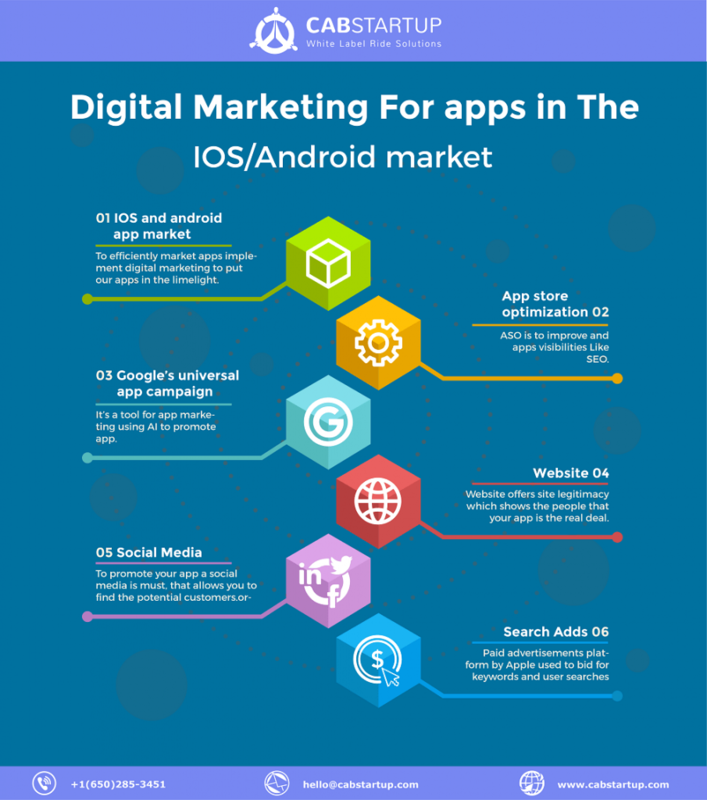 ASO and SEO have many similarities regarding how they are accomplished such as having a unique App name, including relevant keywords without stuffing, having an app description that clearly outlines the app’s value and is updated with app update descriptions and release notes. Furthermore, adding screenshots or video tutorials that demonstrate the app’s key features. Lastly, Having favorable ratings and reviews for your app is imperative when it comes to getting potential customers to download the app. UAC is a tool for app marketing, and it uses machine learning algorithms to perform its tasks. Many app developing companies utilize UAC to promote their applications in the Android Market. Unlike Google AdWords campaigns, you don’t necessarily have to design individual ads when using the Universal App Campaign. The UAC service uses your text ideas and assets from your app’s store listing to create a variety of advertisements across several different platforms including Google Search, Google Play, Youtube, and Google Display Network. The only things you have to provide are the text ideas, a budget, a starting bid, and tell the UAC what languages your ads should be in and what locations they should target. The UAC systems will test different combinations and display those ads which are performing the best, without needing an extra work from you. Now we’re going to talk about some traditional digital marketing techniques, the most essential of which is having a site for your app. Having a site offers your site legitimacy, something which shows people that your app is the real deal and that you are invested in it as a business. Apps for enterprise brands need to be featured prominently across the website. It shouldn’t be a small logo on the side or an afterthought; rather it should have a prominent presence all over the website as long as its presence in a particular place makes sense. When it comes to digital marketing, having a social media presence is a must because it allows you to directly connect with your potential customers and tell them what you’re all about and show them that you have a real passion for whatever it is that your app is doing. There are two social media methods to connect with your audience, paid or organic. Organic social media is rather simple; it merely means having a presence on popular social media platforms such as Instagram, Facebook, etc. All you have to do is create accounts and start engaging with people within your target audience and industry in a meaningful way without being overly promotional. In 2016, mobile app click-through rates went up by 32%, while cost per click decreased by 33%. 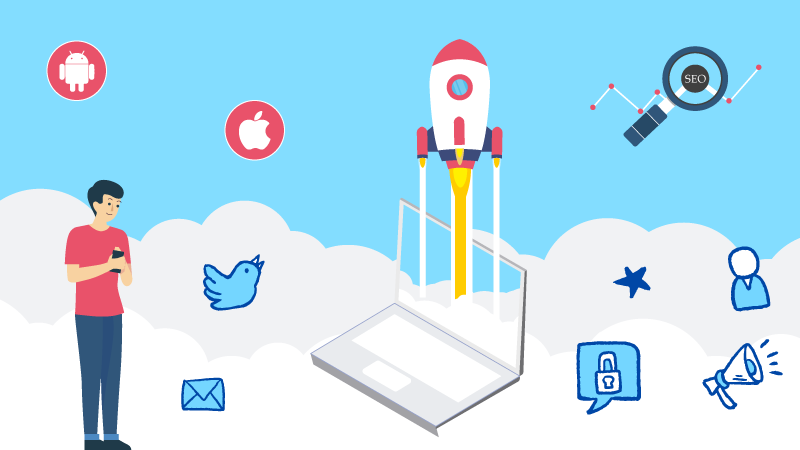 Essentially, putting some funds behind your app promotion will boost discoverability and get more and more people to migrate to your app. Facebook and Facebook-owned Instagram are effective advertisement platforms since they have vast audiences and are exceptionally skilled at segmentation. Apple introduced search Ads when it launched iOS 10, and search ads are paid advertisements within the App Store. What that entails is that you are able to bid for keywords and when a user searches for apps using those keywords, your app appears first. Search Ads are an effective and efficient way of promoting your apps on iPhone and iPad in the U.S. Search Ads are designed to provide a safe search experience which means they deliver relevant ads while respecting the user’s privacy. The methods mentioned above are just a few in a nearly endless list of app promotion methods. Treat apps like any other product and focus on robust digital marketing campaigns and keep in mind that the quality of your app’s users is much more crucial than the quantity. Furthermore, ensure that you have a firm understanding of your target audience so that you can craft audience-appropriate ads. What are some startup ideas? In this day and age, more and more people are moving away from the 9 – 5 job model and are looking to start their own businesses. However, one of the many speed bumps that new business leaders encounter when starting their own companies is what niche the business is going to be a part of and what it is actually going to do. Well, out of question to you is are you looking for some good startup ideas? If yes, then have no fear, for this blog post is going to give you just that. In a time when most of our society is opting for public transport as opposed to buying personal vehicles, it would be a wise decision to start a taxi business. It is a healthy and continuously growing industry that will prove to be very welcoming for new business leaders who carefully traverse its waters. Of course, to be successful in the taxi dispatch service industry, you are going to need a state-of-the-art software application system to host the service on. And in case you do not want to build one yourself, we at Cab Startup are happy to provide you with a cutting-edge white label solution. Skilled trade includes many different avenues such as plumbing services, carpentry services, electrician services, extermination services, cleaning services, etc. and each one is brimming with business opportunities. Fortunately, given how many different skilled trades exist, the industry has enough scope and space to be a successful environment for entrepreneurs. 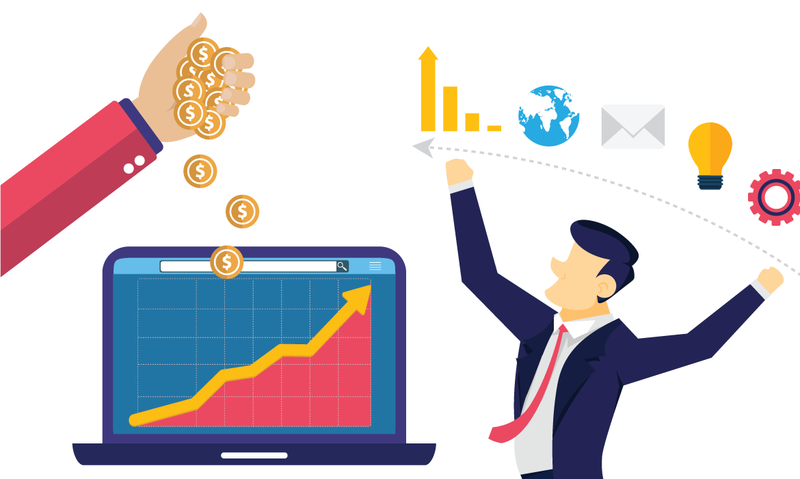 If you are skilled in any trades and are looking to expand your outreach, or if you are simply looking to make a successful business then you are obviously going to need on-demand dispatch applications because this industry has also found its way to the on-demand service business model. And of course, you can always opt for a white label solution in which case Odtap would be an excellent option. If there is one thing our generation loves more than anything, it is food. As such, especially if you are on living in a small town then it would be easier to compete against larger chains such as Starbucks. This is true for various reasons, the biggest of which is that in small towns almost everybody knows everybody, and most people would want to support you and your business. Furthermore, there are other things you can do to attract potential customers such as, being in a convenient location for vehicles, cycles, on foot traffic and offer a pleasant environment with theme appropriate furniture and some light music. Last but not least, you are going to have to make some fantastic coffee served by well trained and well-mannered baristas. Usually, when people think of food trucks they think of young people putting creative twists on popular fast food items such as burgers, hot dogs, etc. and that is absolutely true. The main attraction behind food trucks is trying all the new ways food can be made and eaten. But, that does not mean that food trucks must serve unhealthy fast food. Plenty of food trucks offer comparatively healthier alternatives as opposed to their junk food counterparts. For example, this one food truck vendor offers French fries made from apples. While that is not exactly healthy itself, it is still healthier than potato made French fries. My point is if you or someone you who wants to work with you is good at cooking and if you have some creative ideas for food, then you have a good chance of running a successful food truck, which if you play your cards right, can grow into a larger business. Now, this one may sound a little odd, but starting a business that helps clients make business plans is actually a really good idea. More often than not, many new entrepreneurs do not have a lot of business knowledge and as such are incapable of producing a competent business plan. Anyone who has proper business knowledge knows the importance of having a well thought out and documented business plan seeing as how it aids in gaining investors and it also aids in running the business itself. Therefore, if you have good business knowledge then you can offer your consulting services to new entrepreneurs and in time you can expand it to a full-on consultation business that dabbles in more than just helping people with business plans. As you may have already guessed, these are not all the business opportunities that you can pursue, but they are highly popular with large pre-existing markets which shows that if you enter them and if you play your cards right, then there will be a seat on the table for you. 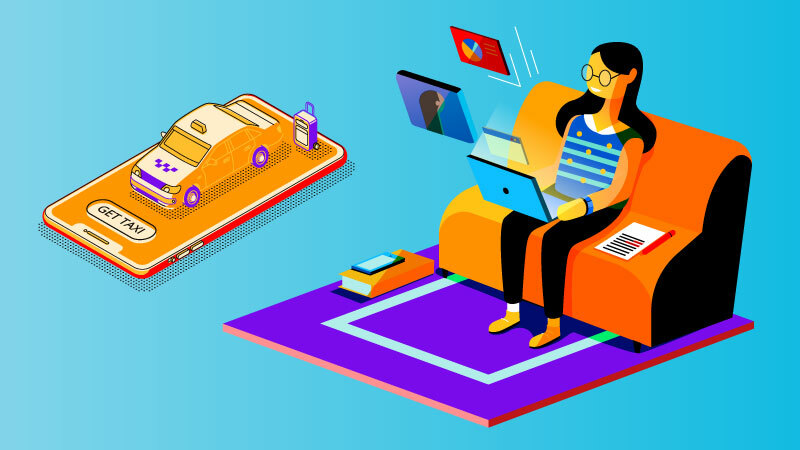 Ever since Uber took the market by storm, the on-demand services industry has experienced an incredible rise, becoming one of the most popular industries for most new entrepreneurs. 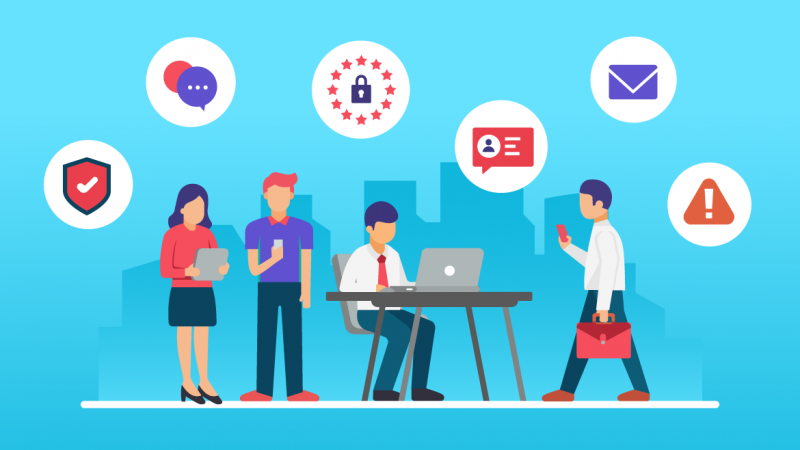 However, just thinking up services and attaching an app to them isn’t enough to guarantee success; to achieve that, business owners need to understand the nuances of the industry they are operating within and how they can mold the business around the on-demand model in a way that works efficiently. In our day and age, we are at a place where convenience is at the top of our priority list, and since we have experienced a steady stream of high-quality services lately, it has become tougher for new companies to meet our expectations, but if they do, then they will reap the rewards. 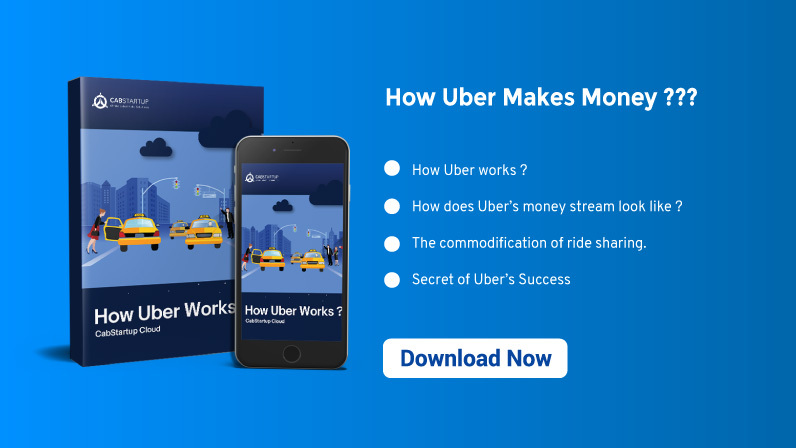 It goes without saying that Uber is most likely the biggest success story in this industry seeing as how it was after Uber came into the limelight that people began paying more attention to the on-demand industry. Furthermore, another testament to Uber’s success is that it has surpassed the $51 billion line with over 40 million riders per month. For those who don’t know, Postmates is an on-demand food delivery app. The startup provides its services in most parts of the US in over 200 cities. Its major target audience is millennials since they are far too busy to take time out to go to a restaurant for food. Postmates gives them the ability to save time and effort by delivering food to their doorsteps. Moreover, Postmates has already amassed over, $280 million in delivery sales and has partnered with over 7000 restaurants. If your dream is to travel the world and you are wondering how to find rooms for rent, the Airbnb is the answer to your question. On the other hand, if you have a place you are looking to rent out, then Airbnb is your answer once more. So, basically, Airbnb is the travel app that solves the problems for hosts and guests offering high-quality services for both categories. As of 2017, the company’s annual revenue is $2.6 billion and it has over 5 million lodging listings in 81,000 cities over 191 countries and has facilitated over 300 million check-ins. Now that we have talked about who the current leaders in the on-demand economy are and how the on-demand model launched them to the epitome of success; let’s discuss why business owners should consider the on-demand model and which industries they can target. What has made the transportation industry so successful? Well, it was one of the first industries to be disrupted in the on-demand economy. ; this comes as no surprise, but Uber is not the only option out there. There are other options too such as Rydr, Insta Drive, Lyft, etc. 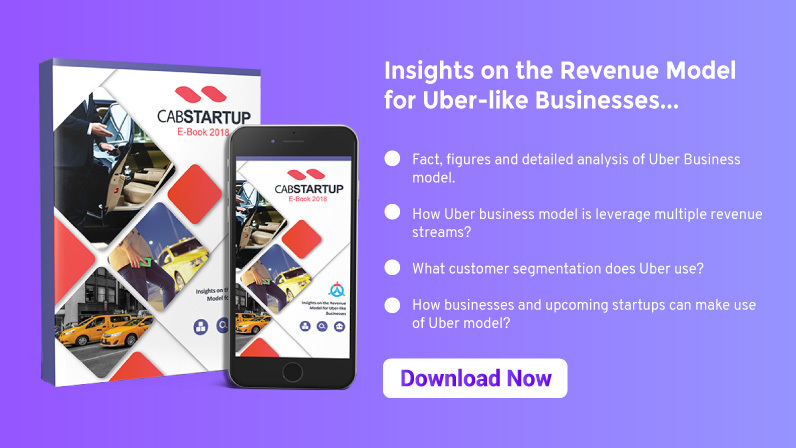 More and more cab and taxi business are now switching to the on-demand model, even the companies that existed way before smartphone apps were around have now built their own apps to compete in this highly profitable industry. Customers have become accustomed to the convenience and demand for such services is only increasing day by day. What is a self driving car? As the name suggests it is a car that drives itself, and it offers its passengers a level of comfort and convenience like no other. The idea of comfort during transport and the increasing reliance on technology has become a cornerstone for the self-driving car movement. That’s why Alphabet Inc.’s Waymo has become one of the latest hot topics in the industry. Waymo is in a vast lead seeing as how in January they reached a deal to buy thousands of Chrysler Pacifica minivans which will be decked out with sensors that can see hundreds of yards in any direction. No other company is planning on offering rides-for-hire let alone preparing to carry passengers in more than one city this year; this can potentially revolutionize the transport industry and launch it into the new age of automation. It also opens up options for new businesses to invest in self-driving cars for taxi services. Introducing the on-demand concept into the Home services industry opens plenty of doors for those looking for an opportunity in this sector. 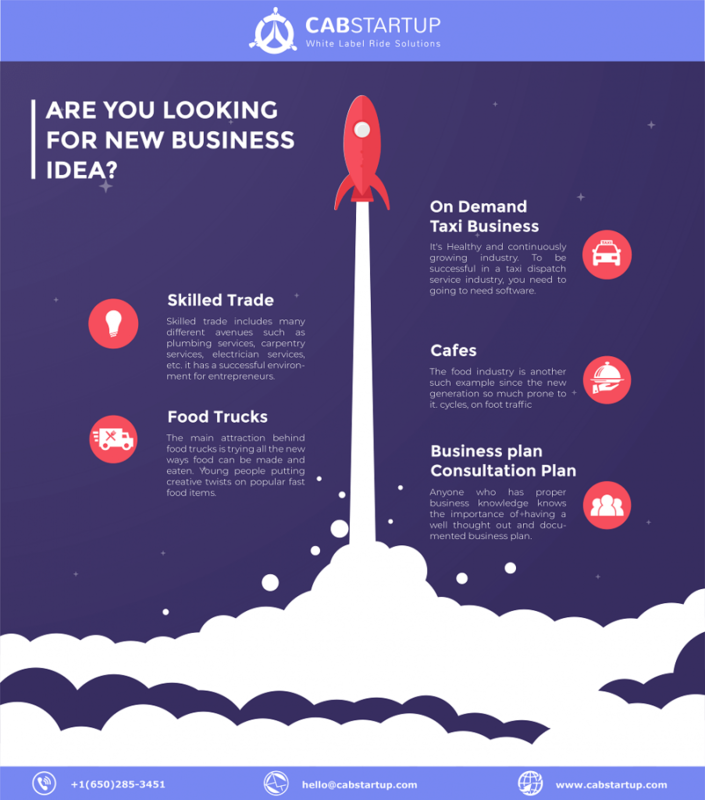 Entrepreneurs can start an on-demand business for plumbers or electricians or carpenters or maybe make a more substantial handyman business and incorporate the previous three mentioned businesses into one. 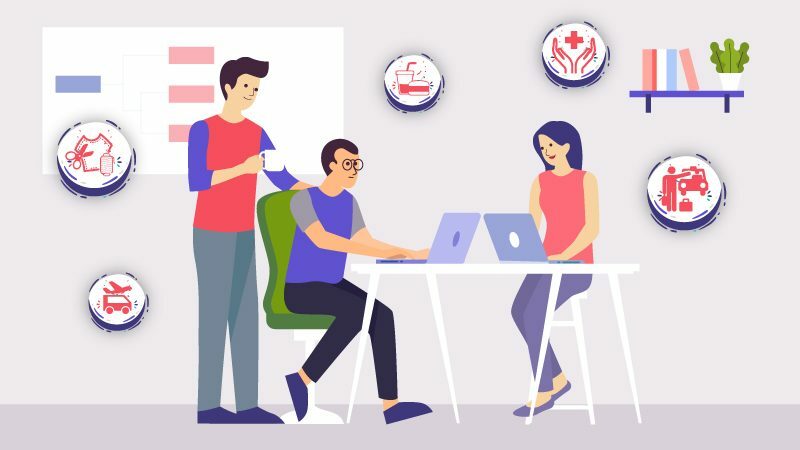 Turning such age-old and vital services into an on-demand model will not only prove to be beneficial for the business owners but also prove to be helpful for customers because the current smartphone-centric nature of the world will allow the business to reach a wider audience and customers will have easy access to these services. The food delivery service is one of the most dominant industries in the on-demand economy. According to Techcrunch, online food delivery still represents about $210 billion market opportunity. Furthermore, today’s modern lifestyle doesn’t leave enough time for people to make home cooked meals meaning they need an alternative; this is where the food delivery services come in, and most people are glad that they have. 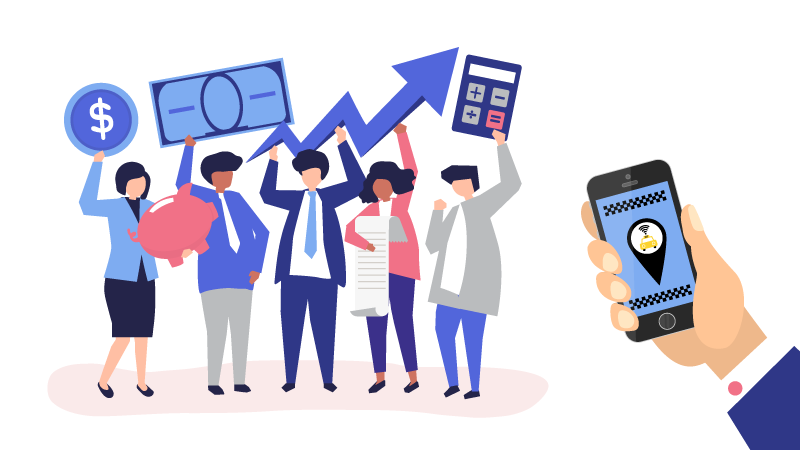 If business owners do not have the expertise required to build their own app or if they don’t have the resources to do so or if they don’t want to make it themselves, then a white label solution is the answer to their predicament. For every on-demand industry, there is a host of white label companies ready to provide their solutions to any business looking to enter the particular industry. 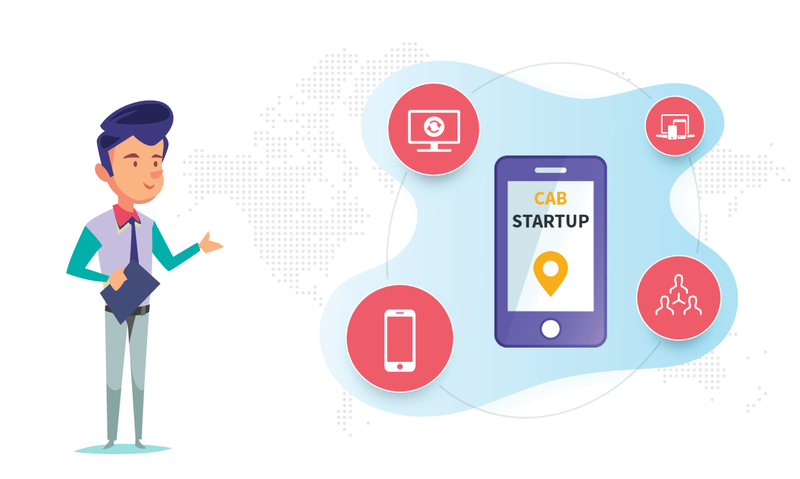 Companies like CabStartup for the transport industry and Odtap for just about everything else are some of the high ranking names in the list of white label companies, and they sell their state-of-the-art solutions at affordable prices to companies of all levels. The on demand economy is in high gear and on its way to becoming a role model for all future businesses to come. It is dominating most high profile industries such as transport, food, etc. and it has given rise to the advent of an entirely new sector, the white label industry; all this proves that the on-demand industry is the way to go for future (and current) business owners.